Sir: Amid the recent elegance and eloquence of the Men Who Cook gala, one man was singled out. Long-time cook and supporter Marty Raaymakers was presented with a special Outstanding Super Cook award, by the executive director of the Huron House Boys’ Home. Marty deserves the recognition. He has been a participant and donor at the event since its beginning, and has generously shared his talent and personal space with winners and helped raise thousands of dollars for the Boys’ Home. And what Marty has done for the Boys’ Home is a sampling of what he’s done for our community. He supports numerous charities and organizations, contributes vision to the business community, and mentors entrepreneurs. Until December, he owned an engineering firm and in retirement is part of Gfive Inc., which is redeveloping the old Sarnia General Hospital location. But here’s the thing. As wonderful as he is, his support is made possible through the affection and hard work of his wife Pam. They have a reciprocated love that is palpable. Marty and Pam Raaymakers are a blessing to this community and all who know them. Thank you, Marty and Pam, for all you do. Sir: Re: “Code of conduct complaint cites Mayor, councillors” (March 14 edition). Former councillor Matt Mitro has said he’s aware some may view his complaint as “sour grapes” but felt it was important to speak out. The citizens of Sarnia are wise voters and he was not re-elected because we did not want him, for many reasons, one being his way of doing things. Matt’s spare time would be put to better use if he took a refresher course, not only on the code of conduct, but on good old-fashioned respect and common sense. Values that many of us continue to live by. Finally, he needs to stop wasting taxpayer dollars on his personal vendetta. Please! Sir: I am a frequent user of Canatara Park and enjoy it very much. I walk through it, drive through it, bicycle through it and swim there in the summer. From my viewpoint, the park is hurting and needs some help and money put into it. My main complaint is the state of the roads and pathways. The eastern half of the central roundabout is totally unacceptable. The drain has ruined the road and the drain itself has never been properly fixed. The road and path in this area are crumbling and is pretty much unusable in the winter. It’s unsafe as the ice builds up far out into the road. The beach parking lots are totally crumbling, especially in the transition areas between lots. All around the Animal Farm the parking lot and roadway are filled with potholes, and the asphalt walkways are old, crumbling and bumpy. In many areas, because of poor drainage, you have to either walk on soggy, muddy grass or share the road with cars. I do know the park’s western road got paved last year. That’s great, but it’s not nearly enough. This is our park and it’s a beautiful one, but we need to put our taxpayer dollars to work and clean it up properly. Sir: Prime Minister Trudeau did his best to flaunt the law to get his Liberal-friendly giant SNC-Lavalin off the hook for fraud. He says there are thousands of jobs on the line if SNC is convicted. That may be true, but he was so worried about his pet province of Quebec that he would demote his own Attorney General – Sad. 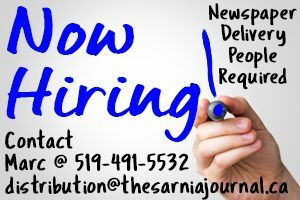 What about Ontario jobs? The General Dynamics plant in London has billions of dollars in contracts with Saudi Arabia. He certainly isn’t so aggressive about saving those jobs. He just preaches about the rule of law, yet is willing to turn his back on it to spare SNC from prosecution and save jobs in Quebec. He should do the same for General Dynamics jobs in Ontario. They are just as important as Quebec jobs, and I’m sure most would agree. No double standards — fair is fair, Trudeau. 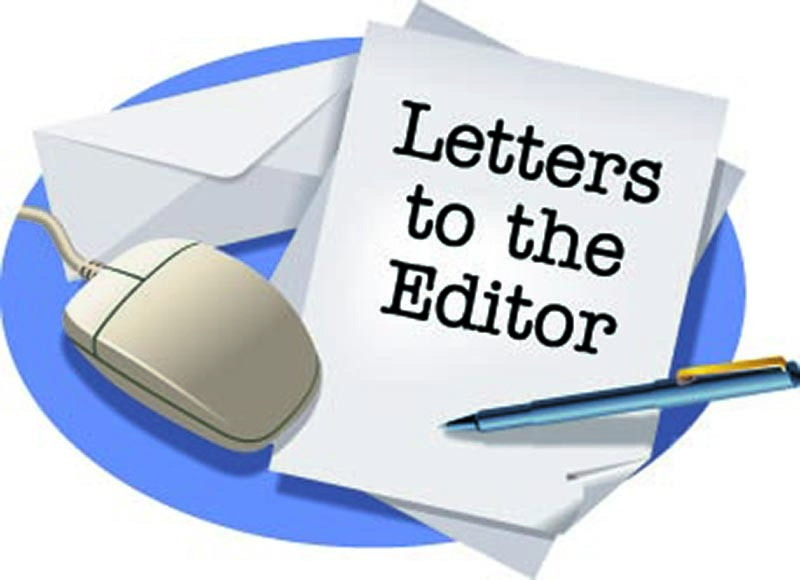 Sir: This letter is with regard to Matt Mitro (ex-councillor and remaining ‘Fab 5’ devotee) and his recent complaint against re-elected Mayor Mike Bradley, which as been lodged with the new integrity commissioner. I think what Matt and his affidavit-signing friends (ex-councillors and Fab 5 supporters) need to understand is an elected government is by the people. Only when it doesn’t work for the people is criticism and censure is warranted. Motivated groups (ex-councillors and Fab 5 supporters) spewing venom has nothing to do with democracy. Please stop this nonsense. Mayor Mike won by a landslide – BY THE PEOPLE. Sir: My name is Dan Wever and I would like to share a short story with those who live or did live in Sarnia years ago. My dad bought a house on Miller Drive that was brand new back in 1955. Unfortunately, time moves quicker than we would like and he is now in a retirement home. My sister has moved into the house and is now one of only three original residents of Miller Drive. Back in those days, our home was a big one in which five of us kids were raised. What is now Cathcart Boulevard was an old railway track and bush where we played quite often. And does anyone remember Murphy Woods? But back to the house. I always thought it was kind of cool to look through our kitchen window across to the neighbour’s kitchen window. The two houses were “identical,” but built in reverse. A photo I enjoy from that era shows one strange, towering thing standing high above every house on the street. If you didn’t have a TV antennae then you took your chances with a set of “bunny ear” to bring in Captain Kangaroo on Saturday mornings. Those with a “TV Guide” might find 10 to 15 interesting things to watch if the reception was good that day. I remember my Dad getting one of us three boys to climb up the tower periodically to check the connection and sometimes turn the antenna a bit. So, in closing, you Millennial Kids, give your cell phones a “special hug” today, cause times were different back in the old days!